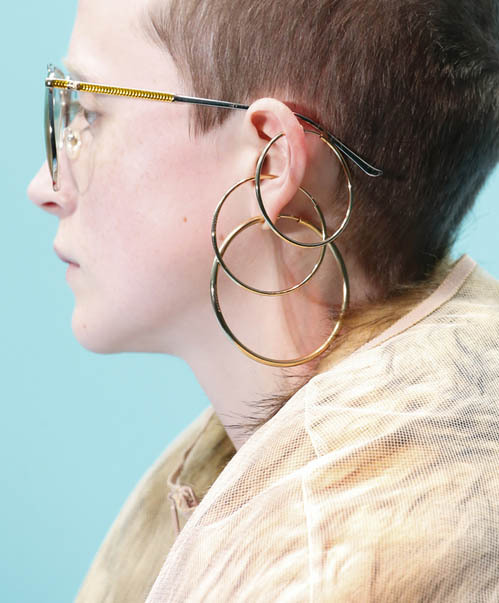 Runway jewelry for the 2018 and 2019 season included bold and eclectic pieces. 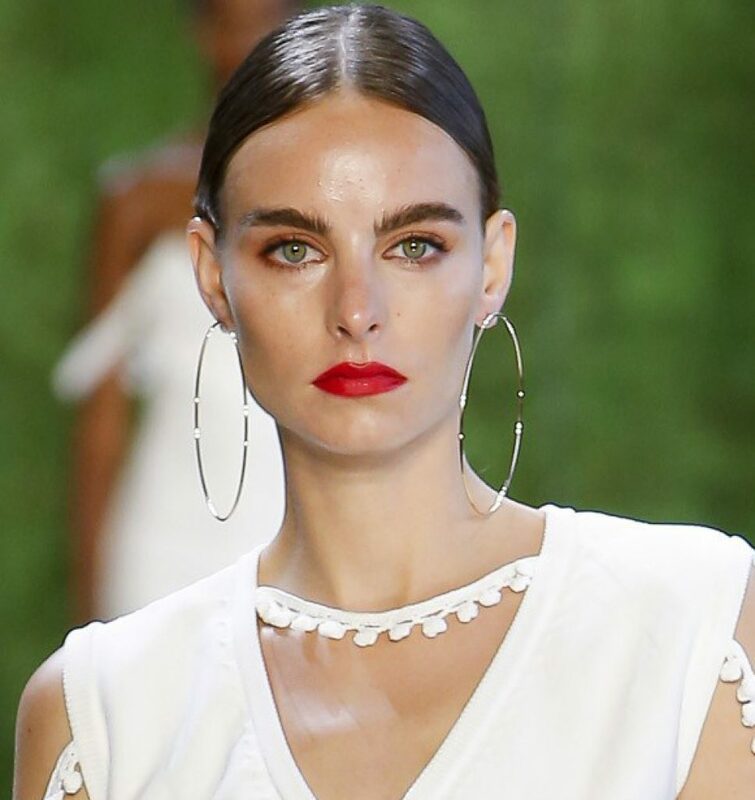 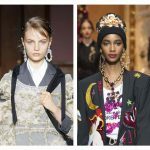 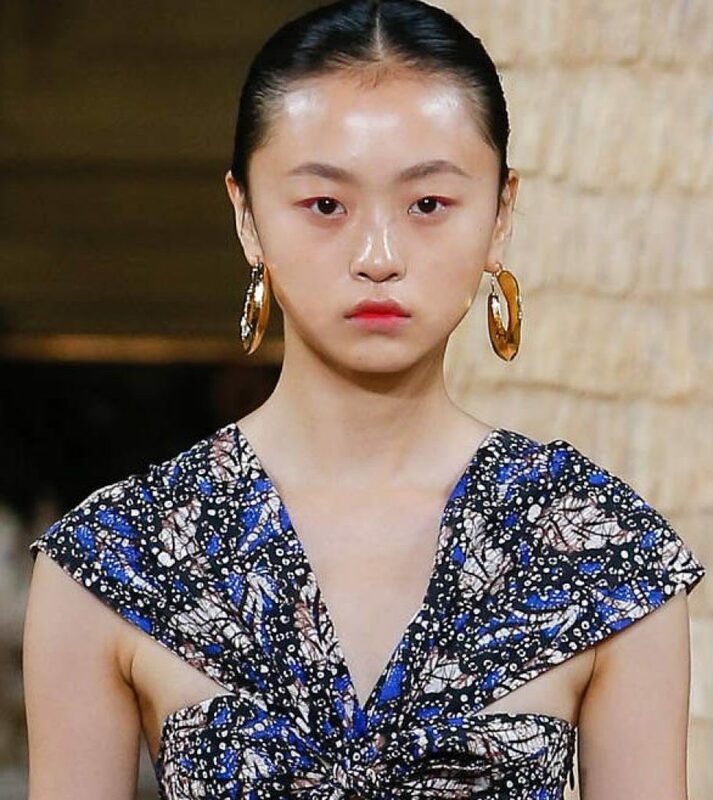 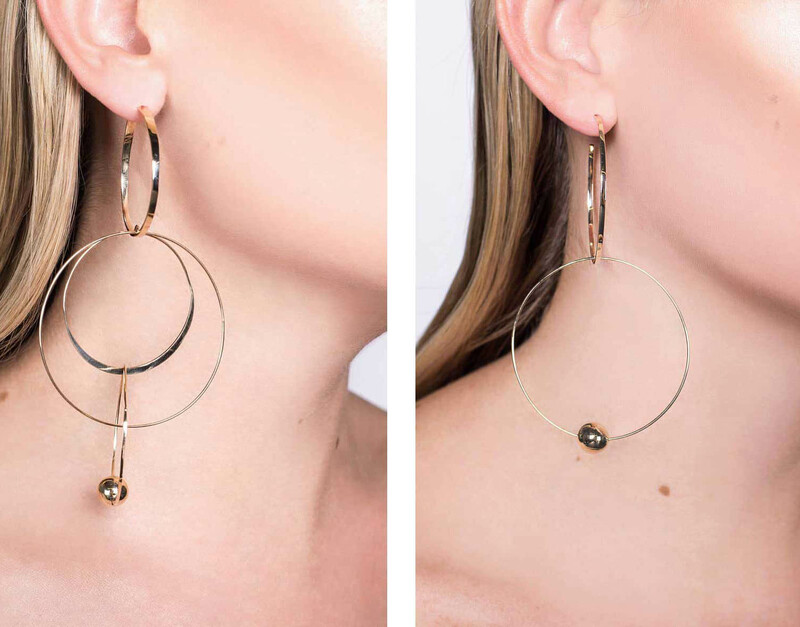 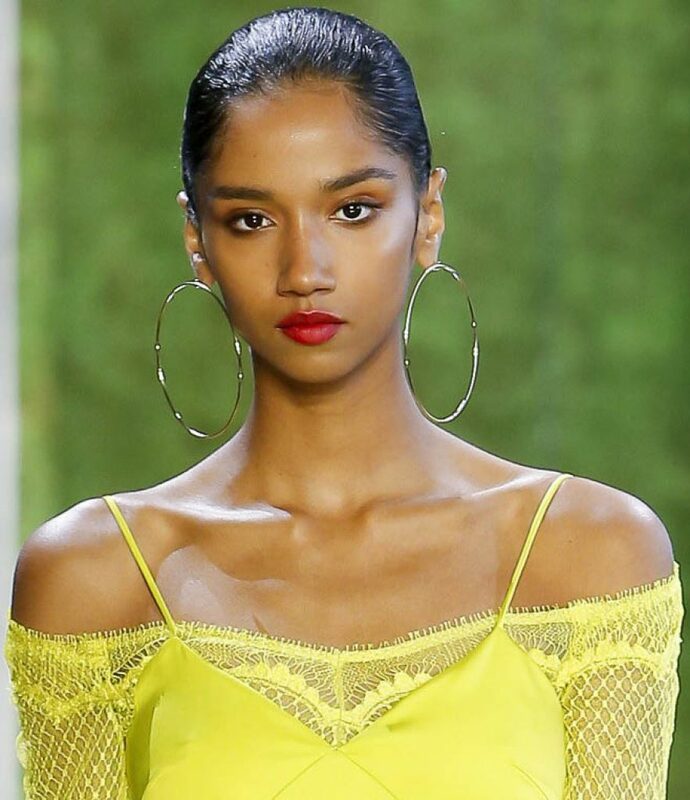 The hoop earrings worn by the runway models shown here, were meant to make a statement and they will be sure to influence jewelry trends for 2019. 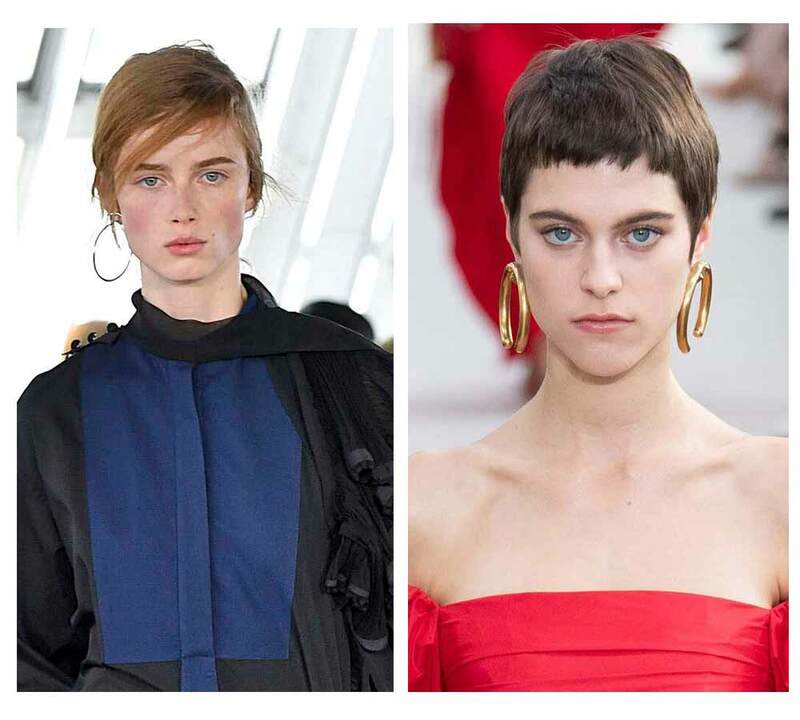 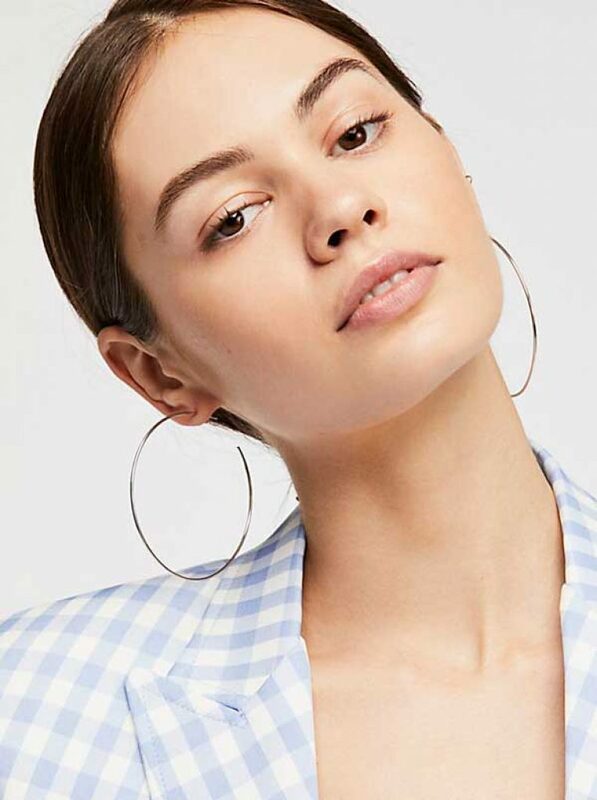 Hoop earrings featured on the runway included variations on the classic hoop including very large hoops, broken hoops, multiple hoops and asymmetrical looks. 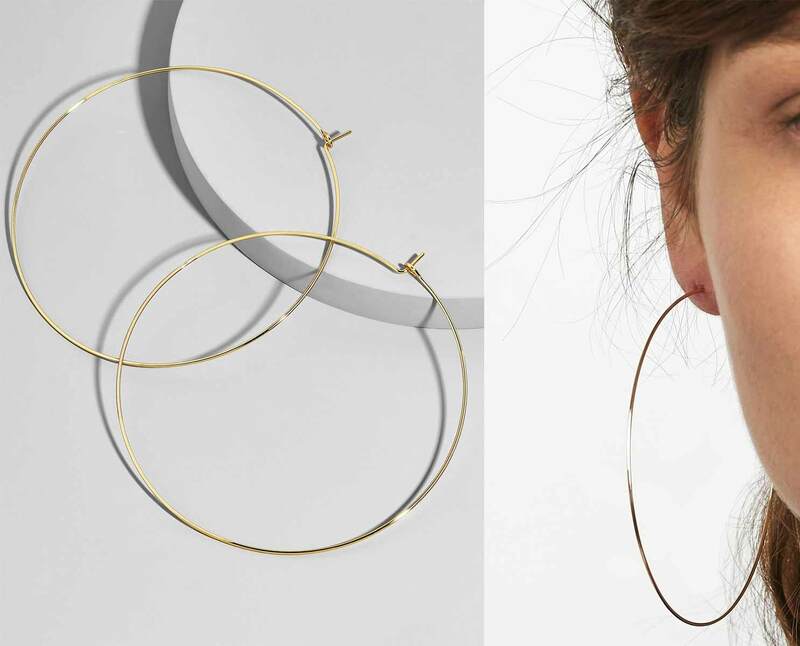 Trends in the shape, style and size of hoop earrings vary over the years but hoop earrings never go out of style. 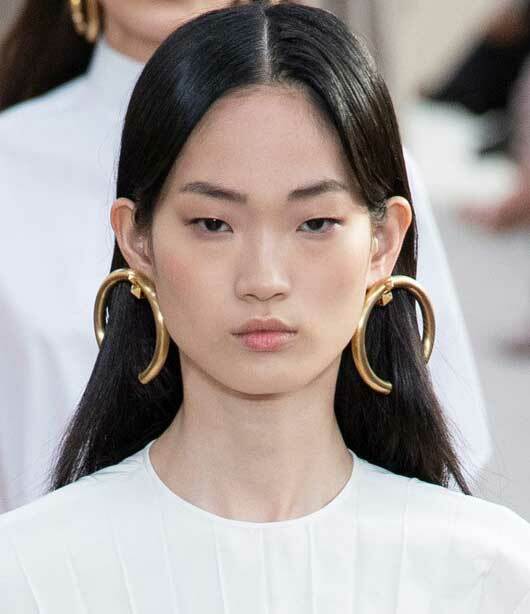 See some of the signature runway jewelry looks that featured this staple earring and read on further to see examples of similar statement hoop earrings from Nordstrom, Nordstrom Rack, Free People and other retailers. 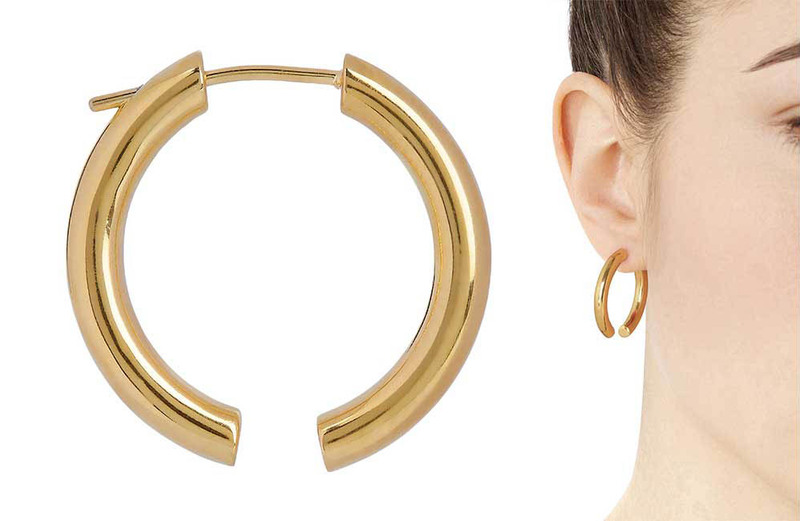 Get inspired by the looks of glam runway jewelry. 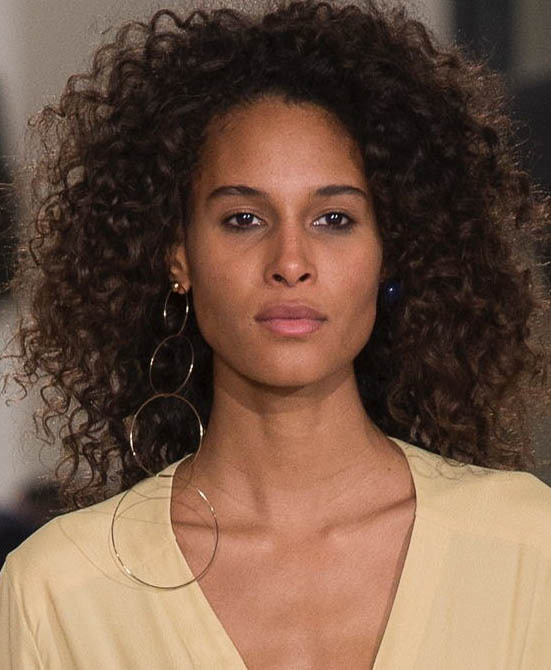 Cushnie and Ula Johnson featured the classic unadorned, hoop earring on the runway as bold, large sweeping hoops or thick hoop earrings. 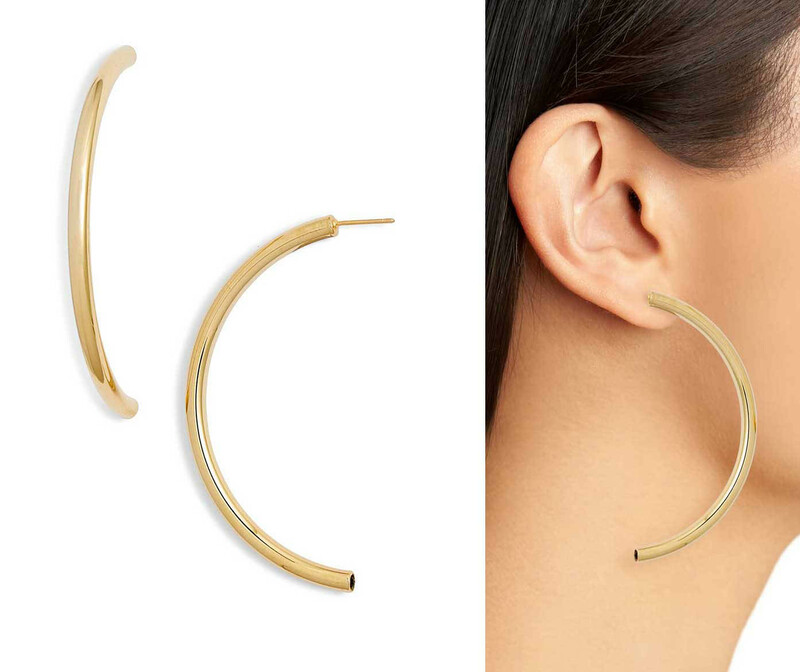 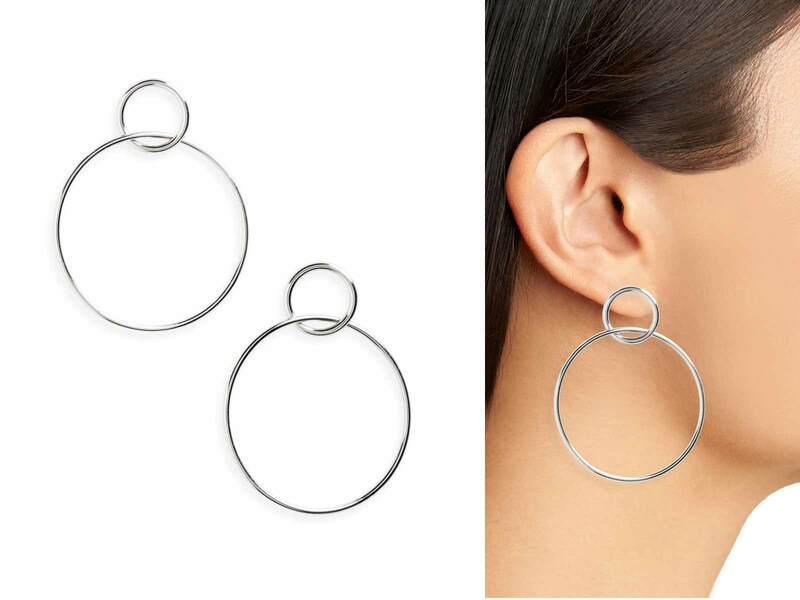 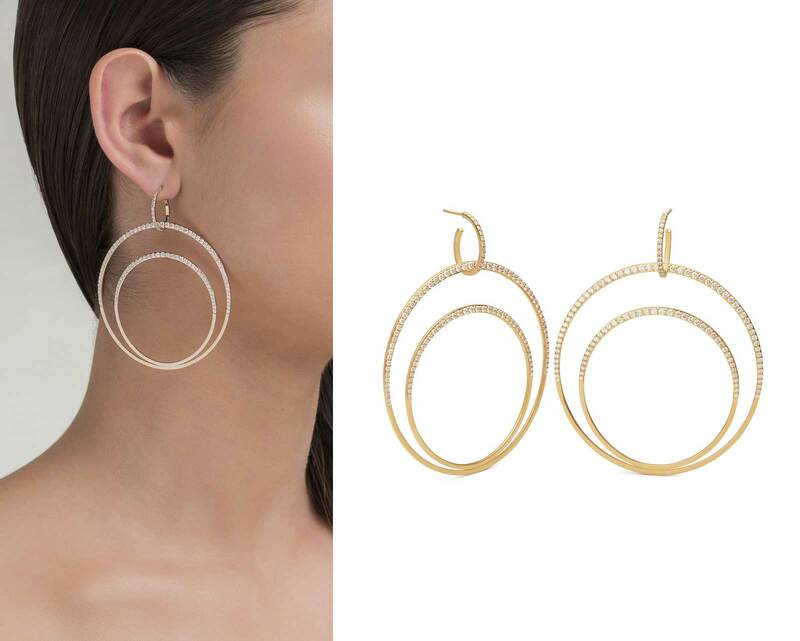 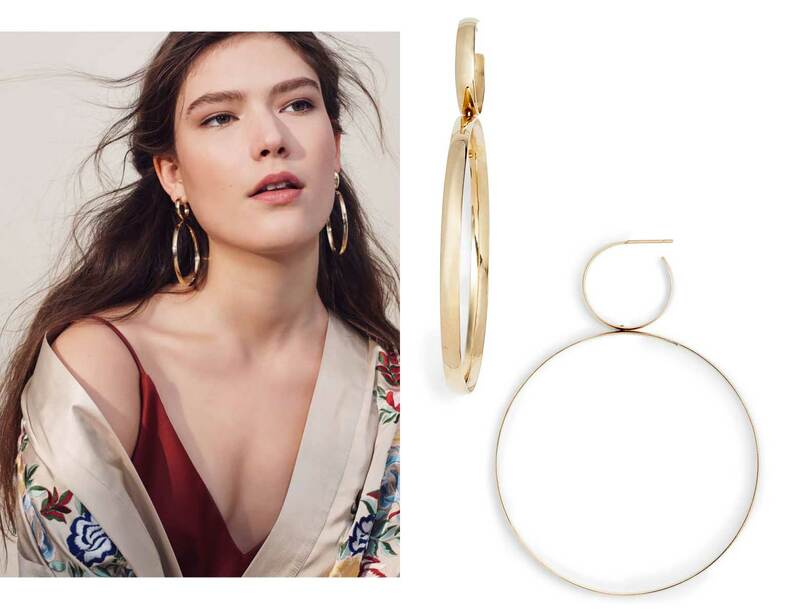 Whether you wear your hair in a short style, have longer hair or wear your long tresses in an updo – bold, large hoop earrings are a go-to for statement earrings. 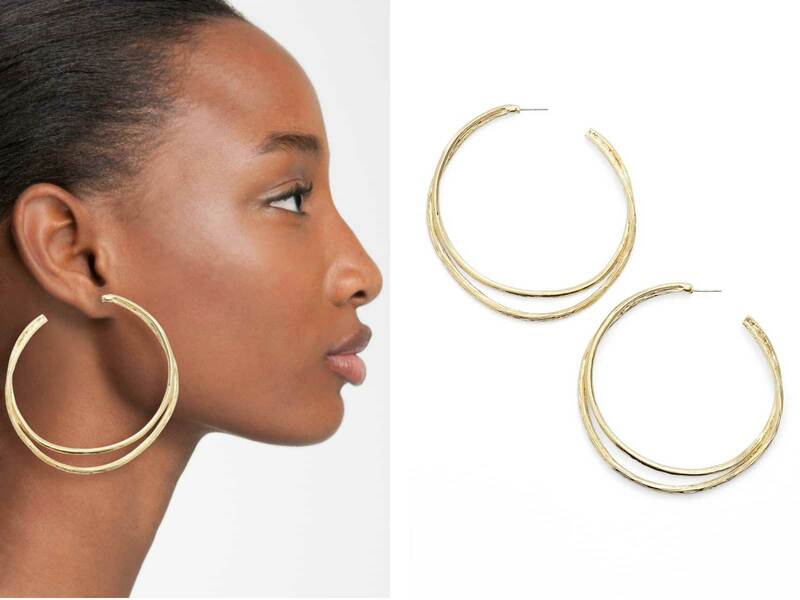 No embellishments or extras needed! 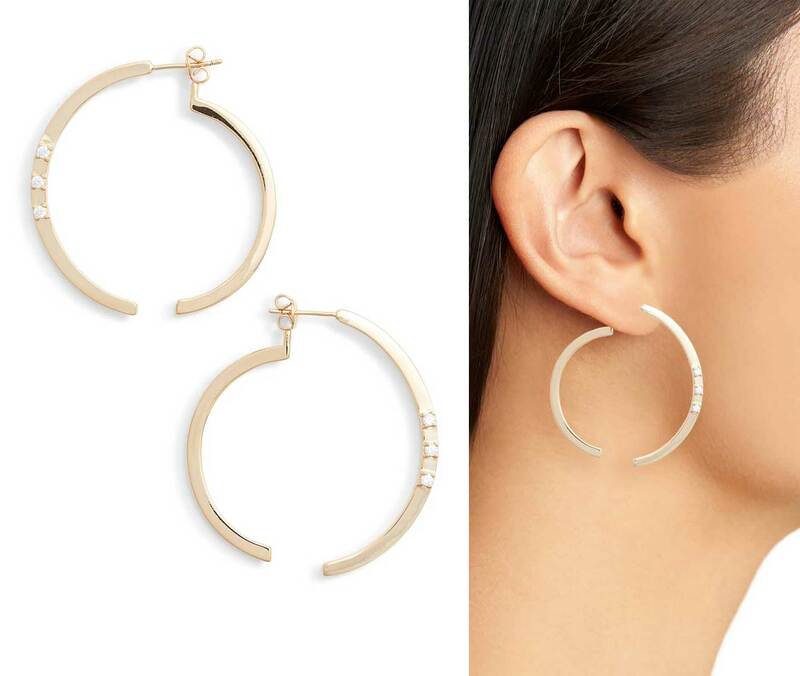 Size makes the statement for these earrings. 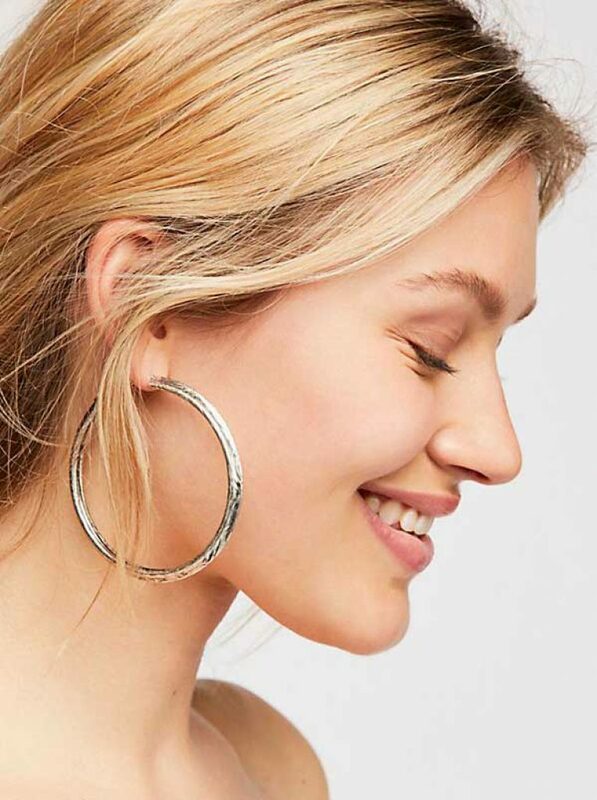 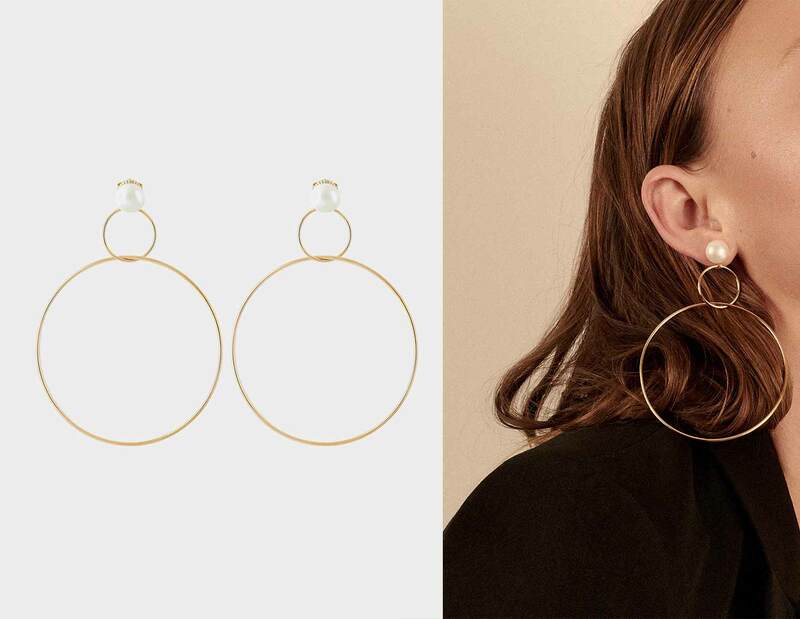 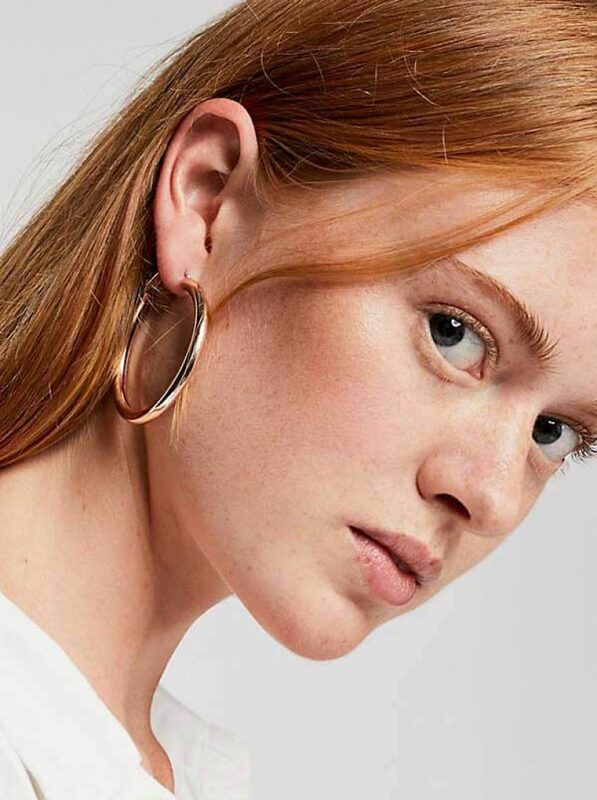 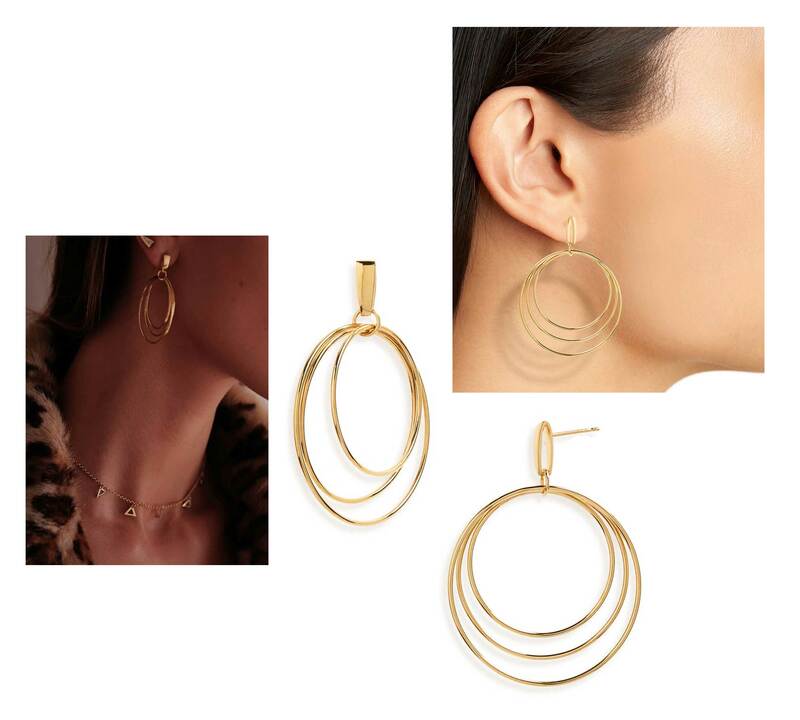 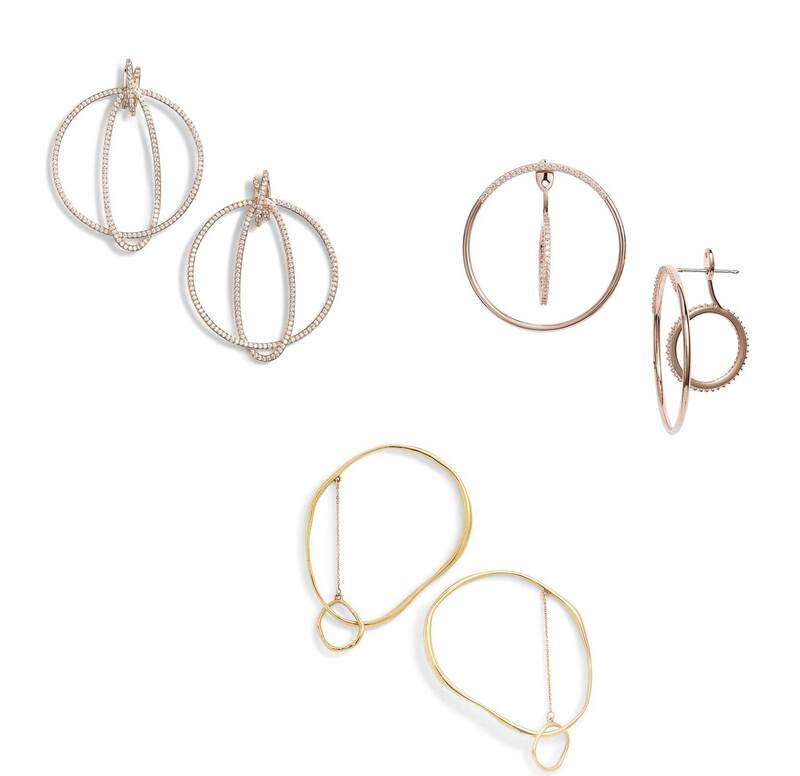 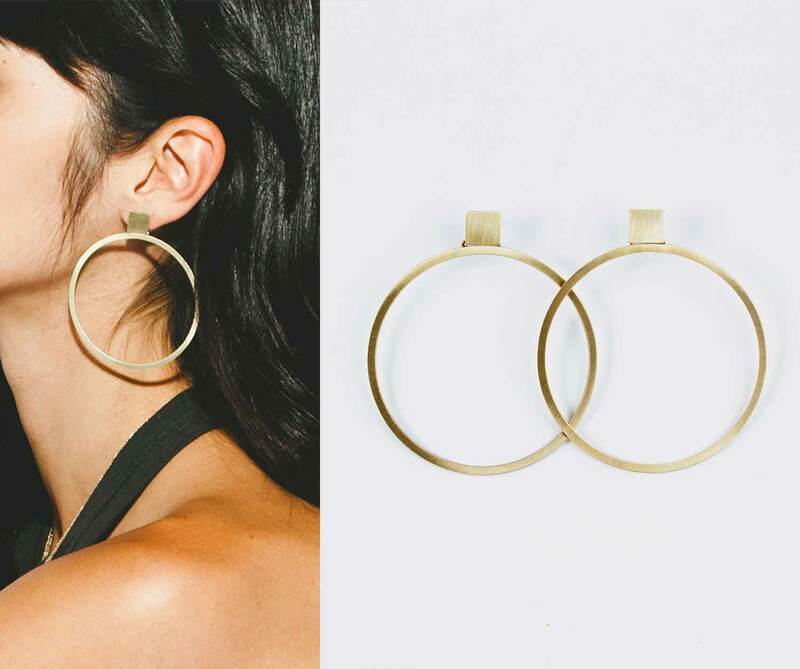 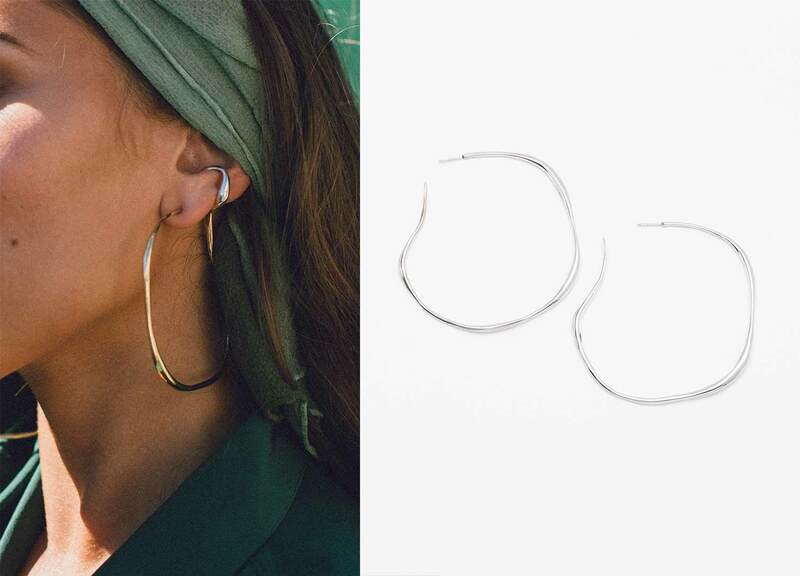 Available at FreePeople.com – Gold Fill Lala Hoop Earrings, Classic Tube Hoop Earrings (Set), Scripted Hoop Earrings and Madison Hoop Earrings (Set). 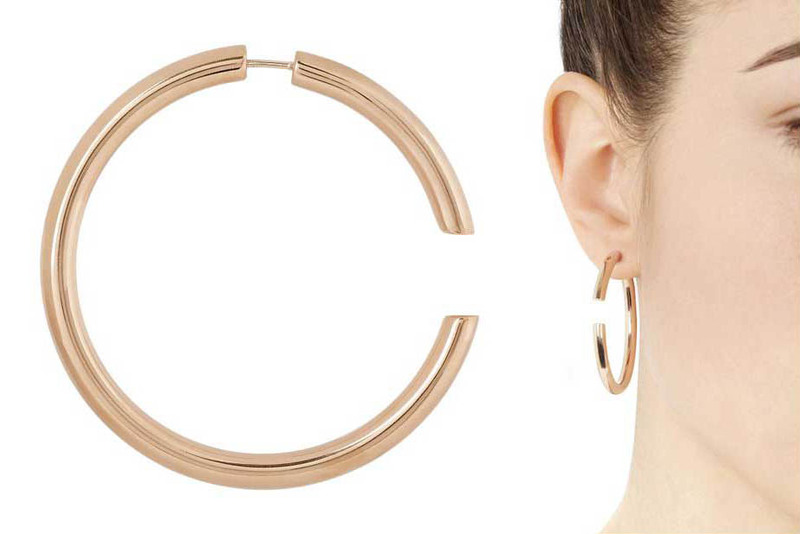 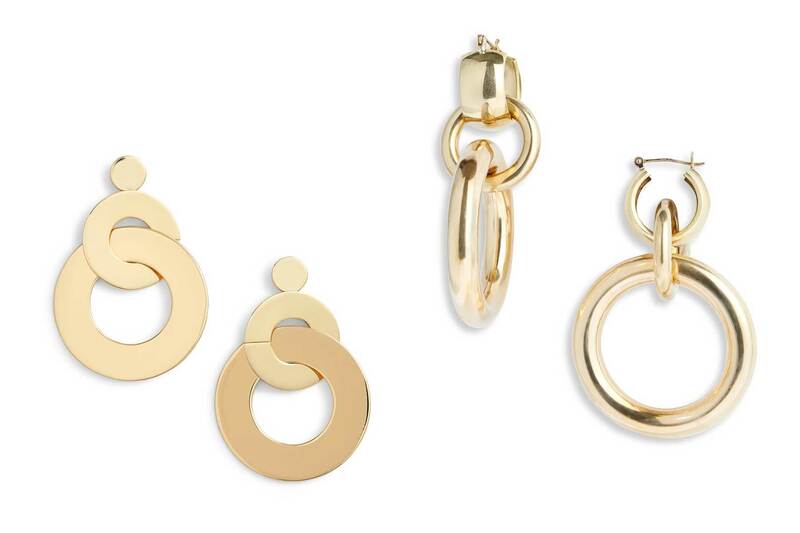 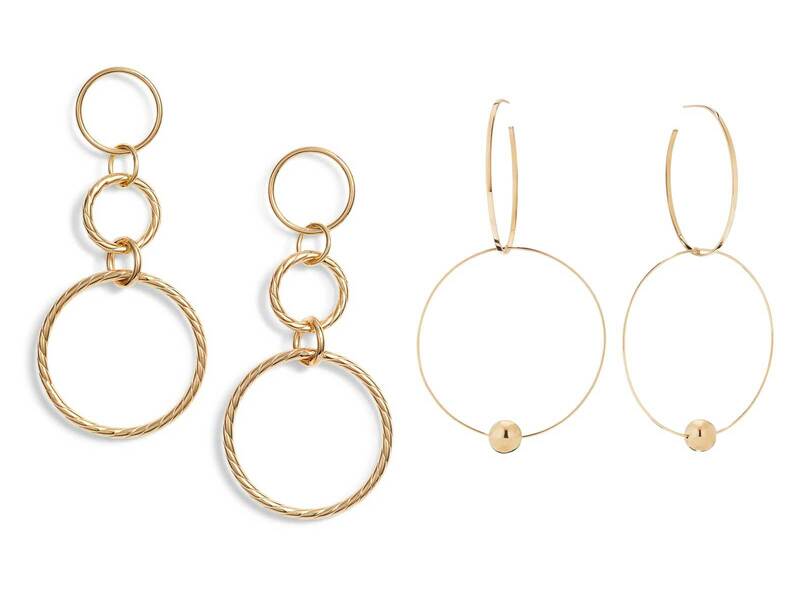 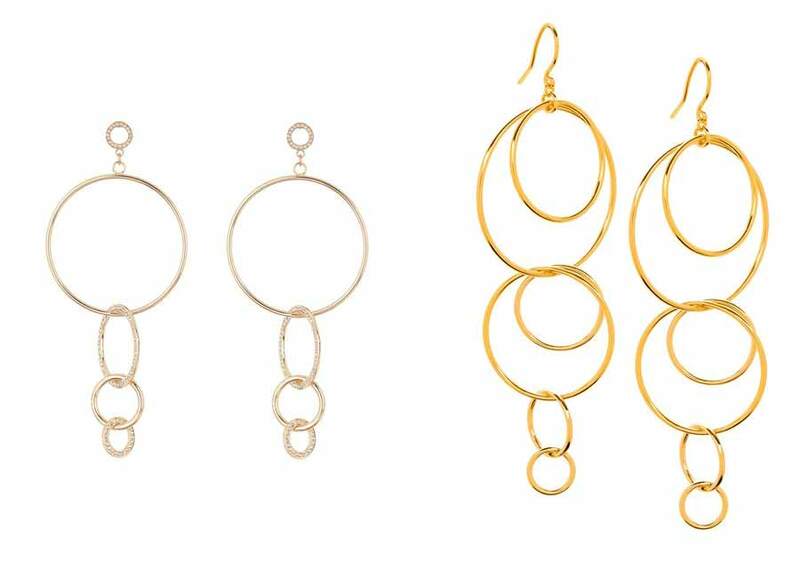 If one hoop is fabulous then… 2, 3 or more hoops multiply the style impact! 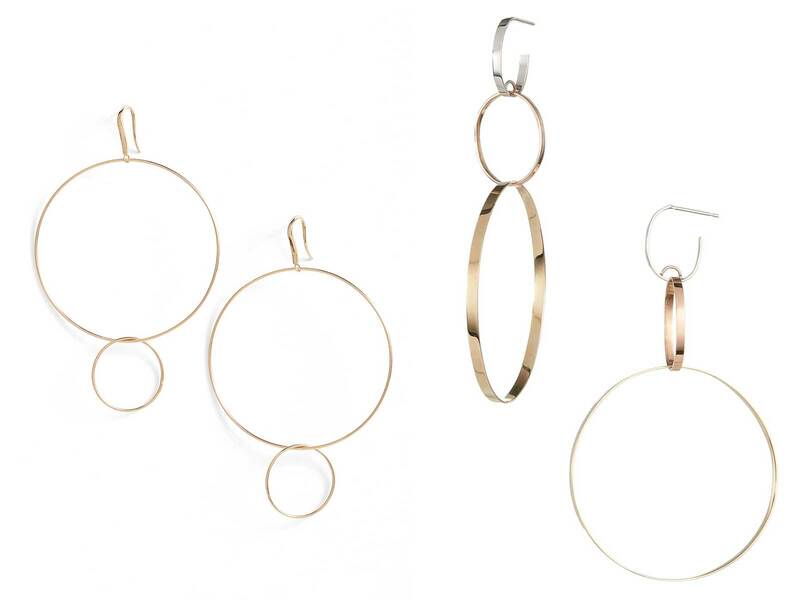 “broken” hoop or interrupted hoop look – a few of these hoop earring styles are shown below.